Top dressing is one of the most effective ways to look after your lawn's health. Following aeration of the existing soil by a qualified professional, compost is then spread at a specified depth in order to evenly cover the area. When executed in order, the aeration process allows the compost to penetrate the previously compacted levels of soil beneath, giving much needed nutrients to your turf! Do you have a lawn in need of professional attention? Give us a call and let us bring your yard back to its full potential! We offer excavation services for drainage, footers and other related needs to our customers at a competitive rate. With 20+ years of excavation experience, our experts will walk with you step-by-step through the entire process so you don't miss a thing! We always keep safety at the forefront of every project to ensure you have peace of mind at every turn. Let us handle the dirty work & rest assured that we've got you covered! A washed out driveway or yard can be alleviated by scheduling our regrading services. Diverting water away from trouble areas is a key component in establishing your ideal outdoor living area. 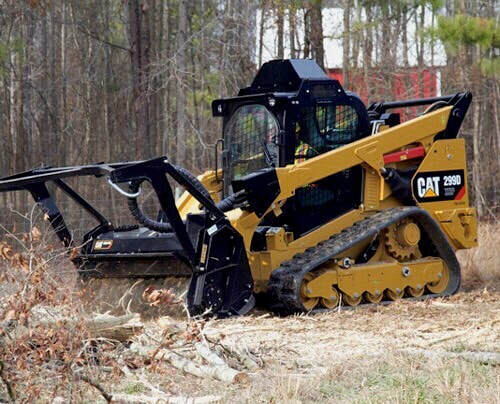 Land clearing made simple & affordable. Our forestry mulching head turns your trees and brush into freshly ground mulch and eliminates the need for those heavy hauling expenses. Save even more with a free quoted estimate! Why wait? Give us a call today!